ABBOTSFORD, BC – Field House Brewing has announced the upcoming release of the fourth installment in its Seasonal Saison Series. This Saison embraces all the promises of Spring, with the herbaceous qualities of wild stinging nettle, the lemony freshness of locally grown red vein sorrel, and the floral aromatics of dried elderflower. You’ll be daydreaming of frolicking in windy alpine meadows while sipping on this crisp melange. 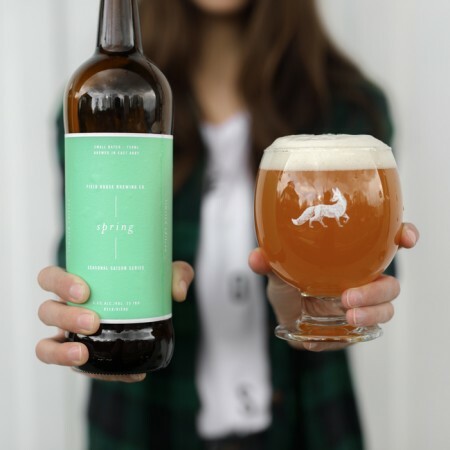 Edition #04: Spring Saison will be available April 26th in a limited run of 650 ml bottles and on draught at the Field House taproom and store in Abbotsford.